Faculty | Home of the Bulldogs! 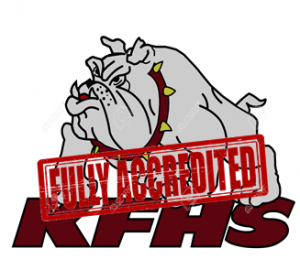 The faculty and staff at King’s Fork would like to welcome you to your school. We are all dedicated to providing your student with a rewarding and enriching academic experience. The success of your student begins at home. We would like to thank our parents and guardians for encouraging good study habits, good sleep habits, appropriate behavior and regular attendance. We further encourage you to remain involved in your student’s academic success throughout high school. Toward that end, below is a list of faculty members, by department. Please feel free to contact your student’s teacher with any concerns, questions or praise about an assignment. We look forward to partnering with each of you in making our student body successful, productive members of society. Every day is a great day to be a BULLDOG! The email addresses of a child’s teachers are available to parents in Home Access Center (HAC). Click here to open the Home Access Center (HAC) info page. Signing up for a Home Access Center (HAC) account provides valuable information to families. It shares grades, email addresses, schedules, attendance, transcripts and state test scores. Parents can also update their own email address and phone numbers on HAC so teachers can also reach them. Mr. Matthew Fike – VA/US History, AP Government, Honors Govt.